Hip replacement surgery is usually offered as an option if all other treatments have failed. It involves replacing the hip joint which has either been worn away or become damaged which will usually have arisen from severe arthritis or because of an injury. In cases where surgery is the only option, it doesn’t always have to mean a full hip replacement. Sometimes it’s possible to have hip resurfacing surgery which allows you to retain more of your original hip bone but this will always depend on how badly your hip is damaged. The hip is, in effect, a ‘ball and socket’ joint where the ‘ball’ is formed by the top of the thigh bone. 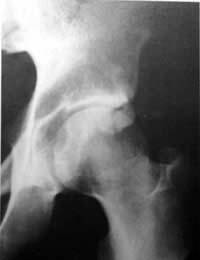 This fits into a part of the pelvis (known as the ‘socket’) and its movement is due to the cartilage lining the socket. It’s the cartilage that gets worn away which is responsible for the pain, stiffness and reduced mobility so a hip replacement is often the best solution to reduce the pain and to increase mobility. Hip replacements can be made of plastic, porcelain and even metal and these are coated with a chemical which encourages bone growth to hold everything in place although sometimes the artificial hip is fixed securely into place with screws. The operation is carried out under general anaesthetic and, although a routine procedure, it’s classed as major surgery which usually takes about 2 hours to complete and involves a single cut of between 20 and 30cm over your hip and thigh. Some operations will actually be performed under local anaesthetic where you’d receive an epidural injection into your back which would make you completely numb from the waist down, although you’d still be awake during the operation. If you’ve had a general anaesthetic, you’ll be given pain killers to stop any feelings of discomfort once you come around but if you’ve had a local anaesthetic, you will probably not experience any pain at all as the epidural anaesthetic you received will probably mean that you won’t even be able to feel any sensation below your waist for a good few hours afterwards. You may find that a special type of pillow has been placed between your legs which is simply there to hold the new joint in place and to stop you from dislocating it. You may also need to wear pads on your lower legs attached to a compression pump which encourages blood flow in your legs and helps to prevent deep vein thrombosis. For this reason, you may also be asked to wear compression stockings to help with blood circulation. You’ll be visited by a physiotherapist and should expect to be able to walk safely, albeit with the aid of a stick or crutches, within about 5 days after the operation, although your physiotherapist will have given you some gentle exercises to perform in bed before you get to that stage. Once they are satisfied that you’re able to get around on crutches or a stick, you’ll then be able to go home. In order to make a good, full recovery, it’s important that you follow the program of exercises that have been set out for you by the physiotherapist. Although they will want you to regain full mobility and flexibility in the joint as quickly as possible, there will be certain physical twisting or bending manoeuvres which you will not be able to do straight away for the first couple of months. Your physiotherapist will be able to advise you about what you should and shouldn’t be doing. It’s recommended that you don’t drive or return to work for about six weeks and, in the early stages, although you’ll find it gets easier to move around the house, you need to feel confident about that first before you attempt to go for a longer walk. If you have quite a physical job involving a lot of lifting or standing, it’s more likely to be around 3 months after your operation before you can go back to work. The procedure is quite routine and, although there are the usual risks associated with any major surgery such as infection, the only real risk is the slight possibility of dislocating the new joint and to be aware of things like blood clots. However, the benefits once you’ve recovered completely far outweigh the risks and a hip replacement operation has given thousands of people a new lease of life, free from pain and has increased their mobility dramatically. An artificial hip tends to last around 10 to 15 years, after which another replacement may be necessary.